I have some super exciting news! I’ve finally moved to my very own self hosted site. I’m working on getting all the little kinks sorted out, so hopefully I won’t lose any of you along the way. Here’s my new site http://www.fromthenorthtothesouth.com/! This week I’m joining Miranda over at Miranda Writes for her weekly Coffee Chat link up. I read it every week but always forget to actually write a post for it, so this week I finally remembered. Here’s a hodge podge of things that I’ve been looking at or enjoying this week. I broke down and bought a new hair dryer. The majority of my life I’ve had short hair so now having long hair I’m so clueless what to with it. This hair dryer is perfect for those of you who are clueless about how to style your hair (like me). It only took me 15 minutes to blow dry my hair and thanks to the little comb it was straight too. All that usually takes me 30 minutes. Sawbones Podcast is awesome! I love podcasts and right now this is probably my favorite. I usually try to let some podcasts build up so I can binge listen to them, but not with this one. I listen to them right away and I’m sad when I have to wait for the next one. Earlier this week I got sucked into The Fine Bros YouTube channel. I’m not one to watch a lot on YouTube, but they do these interviews with teens today called Teens React and my goodness they are hilarious. This one is by far my favorite. If you’re a 90s kid I think you’ll appreciate it too. This commercial drives me crazy. It’s the way the guy pronounces gyro. I’ve always said it as giro (the y sounding like an I). So hearing it drives me crazy. Anyone else have words like this? I blame it on being from Western Pa. I got some really exciting news on the job front, but I’m going to wait to share it until it’s 100% offical. This is something that I’ve always wanted to do and I’m super excited. I hate to do vague posting, but the job isn’t offical until my background check comes back (which shouldn’t be an issue), I don’t know ant to jumpy the gun. But I did get a job offer! Seriously this will be the last post that you read about me talking about going on vacation. Then you’ll have to read posts about what we did on vacation. I’ll be taking a blogging break while we’re at the beach, so follow me on Instagram where I’ll be sharing lots of vacation photos. March is over. March overall was a really weird, not awful but not great either. It kind of felt like it dragged on. I’m really excited for April, and one of those reasons is because are going on vacation. Vacation means lots of taking a book to the beach and reading while I hopefully get a tan. The whole What I Read series stems from my 2015 Reading List I created earlier this year. Well I did not read a single book on that list this month, but that doesn’t mean I didn’t read anything. 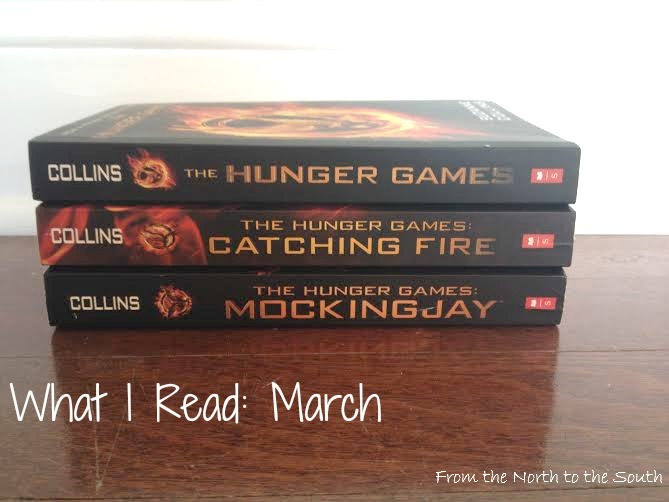 At the beginning of the month I got the urge to reread one of my favorite book series…The Hunger Games. So that is exactly what I did. I finished the entire series for the second time this month. I’m one of those people that has no problem rereading books, and actually like to buy books after I read them (if I liked them) so I can have them if I get the urge to read them again. My sister got me The Hunger Games full set for Christmas, and with Mockingjay Part 1 coming out on DVD I really wanted to reread the whole series since I remembered all the main plot points, but forgot the little details. I remember reading them the summer after I graduated from grad school and was still nannying. I borrowed the first book and read it one day. I think the series was even better the second time through! I forgot how much I love these books. There will be no spoilers since I know a lot people haven’t read the books and not all the movies have come out. But if you haven’t read the books you so should! I enjoy the movies, but they are so different from the books. If you read the books you can understand why the movies need to be different at times, but the books are so much better. I think it’s rare when a movie is better than the books (I will always say Fight Club the movie is better no matter what people tell me. I enjoyed the movie way more than the book). So I didn’t read anything from my reading list, but it was so worth it to reread this series. Hopefully in April I’ll knock a few books off the list. What did you read in March? Are there any books (or series) that you could read over and over? Another new week another Currently post! Hope you all had a wonderful Easter Sunday. The whole Easter weekend is one of my favorite times to celebrate. 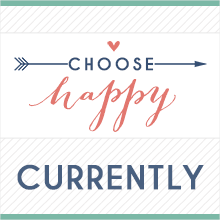 I’m linking up with Becky from Choose Happy to tell you what’s going on currently in my life. Enjoying: spring days and getting to spend time with Michael. We had a really great weekend. Good Friday service on Friday, a wonderful day outside and then a laid back dinner date, and Easter Sunday service. We volunteered in the children’s ministry for our church’s first service and it was actually really fun! Watching: My Fair Wedding with David Tutera. With me now technically unemployed aside from applying for jobs I’ve been doing a lot watching Netflix. Sometimes I need my crazy reality TV fix, especially the craziness of wedding shows. I love them. Pinning: workouts. March was a long month and even though I’ve been working out more and trying to eat better I managed to gain 5lbs this month and its not muscle. I think a lot it has to do with me no longer chasing a rambunctious toddler around all day. With out vacation coming up next week I’ve been trying to do more intense workouts, and continuing them after we get back. Loving: that we’re going on vacation in exactly one week!! I won’t be blogging while on vacation, but I plan on instagraming the heck out of our trip, so follow along. Decorating: nothing really. If I can get all the laundry done and out away I’ll call that decorating, since it will drastically change the look of our room. Please tell me I’m not the only one who hates laundry. It never ends and it’s only just Michael and I right now. What’s going on Currently with you? 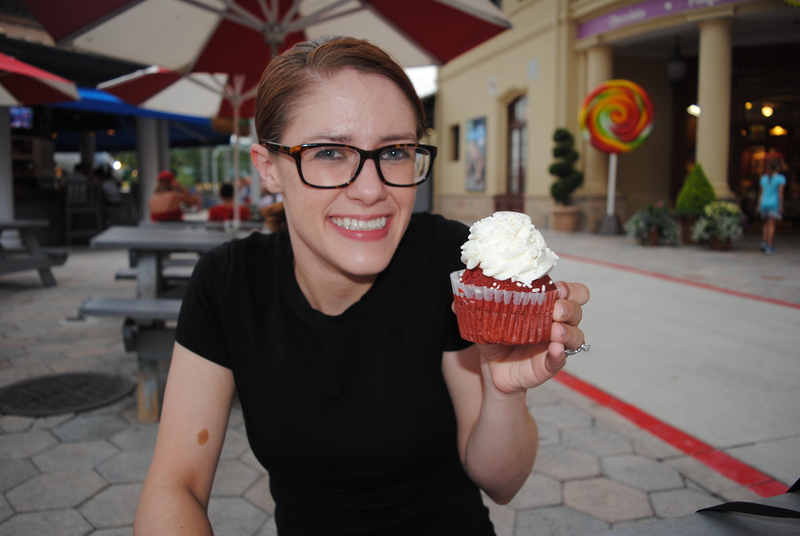 Today I’m linking up with Got2Run4Me, FitnessMomWineCountry, and ConfessionsofaMotherRunner for their monthly coffee date. If we were having Coffee Today I’d tell you that…Dunkin Donuts has the cookie dough flavor back. This is by far my favorite things to get added into my iced coffee from there. I don’t know how long it will last, but I know I got lots of cookie dough flavored iced coffee last summer so hopefully it will be around for a little while. If we were having Coffee Today I’d tell you that…our vacation is just a week away! I cannot wait. I’ve been saying that for over a month, and it’s almost actually here. I’ve been doing a little planning. Panama City Beach, Florida looks so fun. I can’t wait to get there and (hopefully) enjoy sunny days and sand. Along with some seafood! If were having Coffee Today I’d tell you that…I finally got my acceptance letter for school! I should be officially starting back to working on my teaching certificate this summer! I have one pre-requisite class that is school specific that I have to take this summer and then I’ll be back in teaching classes full time. I’m excited to get to school and get to be in the classroom observing again. If we were having coffee today I’d tell you that…since my nanny job is ending I’ve been looking for another job and I have an interview on Wednesday! Looking for jobs is no fun (at least it isn’t for me), so the less time I have to look the better. Plus I need to have a job, and not because we need it financially (though if I went too long without a job we’d need that), but more because I’m just not good at having so much free time. The more free time I have the less I get done. If we were having Coffee Today what you tell me? Hey Everyone! It’s the middle of the week (I’m a little late on my usual post) ) so it’s time for another Currently Post. This week I’m linking up with Becky at Choose Happy like always, but also Jenna from Dearest Love and Anne from In Residence for their monthly currently series. Before I jump into what’s going on Currently with me. 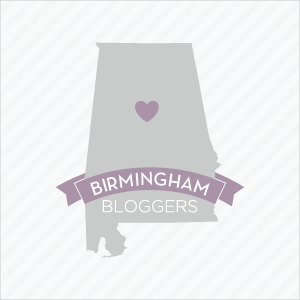 I want to thank everyone who gave me advice and encouragement while I was talking about my blogging funk! It was really helpful and actually gave me lots of ideas for posts to write. So thank you so much! Exploring: what there is to do in Panama City Beach, Florida. Our vacation is just a week away and I’m trying to get ideas for places to eat and things to do and see. So if you’re from there or have been there I’d love to hear what you recommend. Wishlisting: a Mac Book. This will be on my wishlist for probably at least another year. I love my iPad, but there are some things I can’t do with that I need an actual laptop for. I have a Dell laptop that only occasionally decides to work (as I type this it is working so we’ll see how long that lasts), and I have taken it into a repair shop to get it fixed and within 2 weeks of getting back it was not working again, and I was so frustrated I never took it back in. I may try one more time because getting it fixed again is a lot cheaper than a Mac Book, but I still want one. Wearing: some amazing drifit yoga pants. I got them at JCPennys and they are wonderful! They fit so well and are so comfy, plus totally great for the hot days here in Alabama. I’ve started accumulating drifit clothing for my trip to the Philippines in August, and will be getting a few more pairs of these before we go. Sipping: a little coffee and a little Jillian Michael’s detox water. I’m sure the coffee negates the detoxing effects, but even with eating healthier and exercising daily I’m still feeling so bloated, so I’m hoping this water can help me to get rid of some of the water weight I’m holding on to. The water itself isn’t great, but it could be a lot worse. Writing: new posts and to do lists. I’m the kind of person that needs a to do list to get anything done, and lately I have not been writing them so therefore I haven’t been getting anything done. I made a list of post ideas and I’m slowly checking them off so I’ll have some new posts to get up through out April. I’m holed up in the corner of the local library writing and writing a little more. I never seem to get anything done when I’m at home. Please tell I’m not the only one who’s like this. *This post is a product of my blogging funk and me being honest about what and where I want this blog to go. When I started a blog I had secretly hoped I’d write one or two posts and one of those would go viral and I’d get tons of follower. What blogger doesn’t want that? Well that hasn’t happened in the yearish I’ve been blogging. It can get discouraging, hence the massive blogging break I took during the last part of the year. When I decided to come and take blogging more seriously I had a few post ideas, but those have been running thin, and I’m not really sure where I want to go next. I guess you could classify this as a lifestyle blog, but that’s really a pretty huge category. I’m not a mommy blogger, full time DIYer, or food blogger, so what is this blog? I don’t really have an answer yet, but I know that I’d like to use this space as a place for me to share what’s on my mind and connect with others. This blog may make me a little money some day, but right now this is my hobby and this my space to share, so I’m less concerned about branding and numbers, and more concerned with building relationships and a supportive community. One reason that I started typing in this little space is because I’m at a point where I’m really trying to figure out what to do next and how to do it. A lot of that has to do with really beginning to understand myself and how my brain works. I’ve spent most of my life trying to push myself to be outgoing or working myself too hard, which are both so exhausting. I’d really hoped that in my late 20’s I’d have things more figured out, but who am I kidding, I’m just as lost and confused as I was when I started college. At least I have a supportive husband to help me through it this time. A lot more personal writing, including more faith related posts. My faith is a huge part of my life, but I’ve never been great at talking about it. As I’m trying to figure life out I want to share it. A good amount of not so serious, more lighthearted posts. I know that reading about deep stuff all day everyday can really start to weigh you down (I know it does for me), so while I’ll be writing more personal posts I’m also totally capable of writing fun lighthearted posts. Of course some tips and tricks posts. What kind of blogger would I be if I didn’t write some blogging tips? I may not be a blogging pro, but I’ve learned a few things along the way and keep learning new things about blogging all the time. So I’d love it if you stick around this space. I don’t really know where this blog (or my life for the matter) is going, but I’d love to have some support along the way. And I can’t promise I won’t have some whiny posts somewhere down the line, but for now I’ve gotten all my whining out so this will be the last one you see for a while.